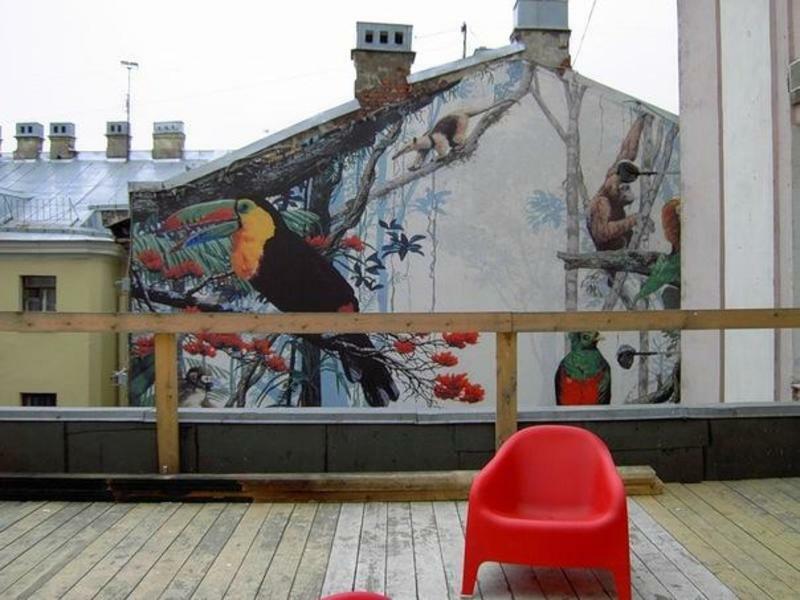 Location Hostel in Ligovskiy, 74 is the only hostel that is situated on the territory of the former bread production plant which has been now transformed into a cultural space. The first experimental example of industrial building transformation into a modern art centre, the Loft Project Etagi just ten minutes walk from Nevsky Prospekt. 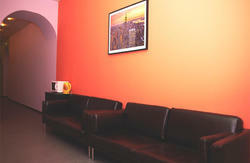 Several years ago the cosy hostel appeared among permanently working galleries, exhibition and lecture halls. 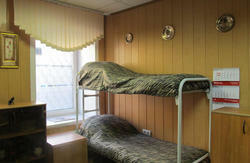 It was one of the first in Russia democratic and hospitable home for travelers from every corner of the world. Each room has it own name connected with the photo collages or remarkable bakery past of our loft hostel, for instance Biscuit shop or Bruce Lee. The objects from exhibition are left in the hall from time to time that is why modern art is everywhere here. We offer cozy mixed dorm rooms for 4,8,10,12 people, twin and doubles of economy class and superb design rooms with private bathroom, TV, DVD, satellite TV. Cost of accommodation includes coffee/tea (during the day), berry cake (in the morning time), towel and linen. There are all necessary appliances: water cooler, kettle, coffee machine, fridge, microwave oven, washing machine, iron, hair dryer. Free wi-fi and guest PCs. Exhibitions, movie shows, lectures, master classes, performances, concerts, markets take place nearby so youll never get bored there.